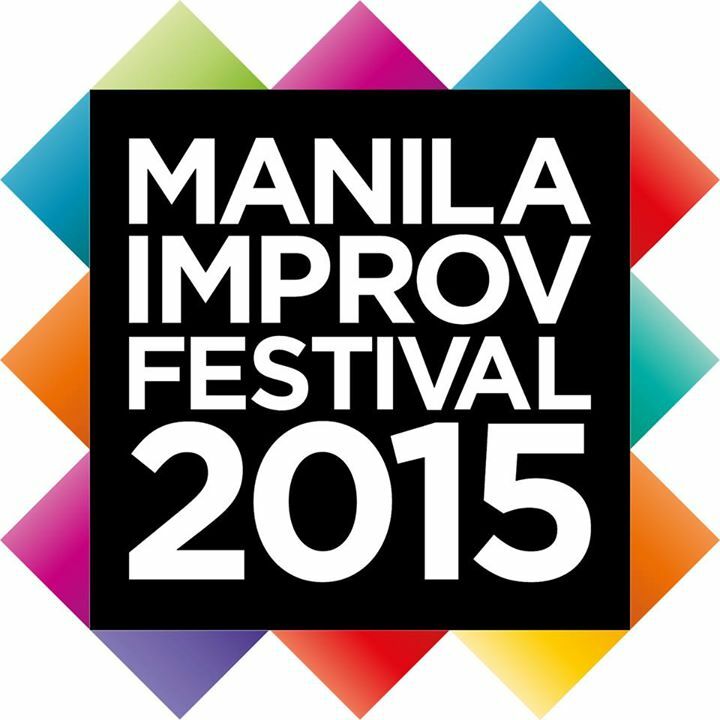 SPIT launches 3rd Manila Int’l Improv Festival | NEED I SEYMOUR? For the third time, the Silly People’s Improv Theatre or SPIT, the country’s leading improvisational theatre group, is organizing the Manila International Improv Festival from July 2 to 12. SPIT, which has represented the country at the Hong Kong, Beijing, Los Angeles, New York, Chicago, and Amsterdam improv and comedy festivals, is tying up with Silliman University and the Philippine Educational Theater Association (PETA) this year for the 3rd Manila International Improv Festival. Improv is a theatre form where scenes are created in real time by both the performers and the audience as participants, with “no scripts, no rehearsed skits, no planted audience members,” explained festival director and SPIT founder Gabe Mercado. “There is no show if you don’t participate.” Thus, improv is more related to performance art due to its non-conventional approach. The Tropical Improv Camp kicks off the festival at Silliman University in Dumaguete, Negros Oriental from July 2 to 5. The workshops are classified into two tracks – Performance Improvisation, which covers topics, talks and workshops focused on improv as a performance art, and Applied Improvisation, which concentrates on the use of improv in non-performance applications. With the help of the Applied Improvisation Network, which has Mercado as its very first Filipino board member, the organizers again incorporate the Applied Improv track to its conference component after a successful run in Casa San Pablo, Laguna in 2013. Applied Improv utilizes the principles of improv in other fields, particularly in sharpening skills in creativity, innovation, leadership and presentation skills. The camp also offers two Learning Journeys. The first Learning Journey, Experience Dumaguete, the City of Gentle People, a walking cultural exploration of the university town and a rolling commercial tour of the largest seaport of Negros Oriental, takes place on July 1. The second and last Learning Journey, Apo Island Adventure, in which a private boat takes the delegates to the protected marine reserve to snorkel and swim with the giant sea turtles, happens on July 5. On the other hand, the PETA Theater Center, the festival’s partner venue, hosts all improv shows from July 8 to 12. Additional workshops, talks, fun, and games complete the five-day program at PETA. This year’s festival boasts of the biggest international participation to date, featuring improv comedy groups from around the world such as 3 Dudes Improv (Hong Kong), Bacolod Improv Group or BIG (Bacolod, Negros Occidental), Dulaang Atenista (Cagayan de Oro, Misamis Oriental), Impro Mafia (Brisbane, Australia), Lamb Ink (Hong Kong), Landry & Summers (Los Angeles, California), One and a Half Men (Manila), People’s Liberation Improv (Hong Kong), People’s Republic of Comedy (Shanghai, China), PIP Show (Warsaw, Poland), Pirates of Tokyo Bay (Tokyo, Japan), SPIT (Manila), Switch Improv (Manila), Taichung Improv (Taiwan), The Beijing Collective (Beijing, China), The Improv Company (Singapore), To Be Continued (Hong Kong), and Zmack (Shanghai, China). Meanwhile, SPIT and eminent disaster research professional Dr. Mary Tyszkiewicz, who just retired from her job at the US Federal Emergency Management Agency (FEMA), have developed a program to teach improv in disaster-struck towns and cities such as the Yolanda-hit Tacloban and Tanauan in Leyte. Apart from disaster preparedness, improv is also used in corporate workshops and team building programs, development of responsible citizenship, and everything else in between. “We’ve traveled the country, doing shows in state of the art theaters, swanky resorts, smoky bars, massive convention centers, sports areas and even the dried goods section of a public market,” Mercado said of SPIT’s 13 years of existence and more than 500 performances, both here and abroad. “Admittedly, teaching workshops in disaster struck towns and cities was furthest from my mind when we started SPIT thirteen years ago,” Mercado revealed, referring to the Heroic Improv Program Dr. Tyszkiewicz and SPIT have rolled out to 15 groups all over the country, sharing just how improvisation can help people in developing the attitude and the mindset to respond to unforeseen disasters. “Improv training could teach all those lessons and do it in a fun and engaging manner,” he added. Considered one of the best improv comedy troupes in Asia and probably the best improv theatre group in Southeast Asia, SPIT is known for its smart and incisive brand of comedy, as compared to the offensive type of comedy being peddled in comedy bars and by mainstream media. The organization, which is composed of theatre actors, teachers, commercial models and professionals from various fields, also holds regular shows in different venues around Metro Manila. For ticket and workshop inquiries regarding the Manila International Improv Festival, contact Jay Tipayan of PETA Theater Center at 726-6244 or 0927-3917379 or email SPIT at wearespitmanila@gmail.com.